In the last article, we have seen the technical architecture. In this article, we will see the tech stack and the purpose of each technology. 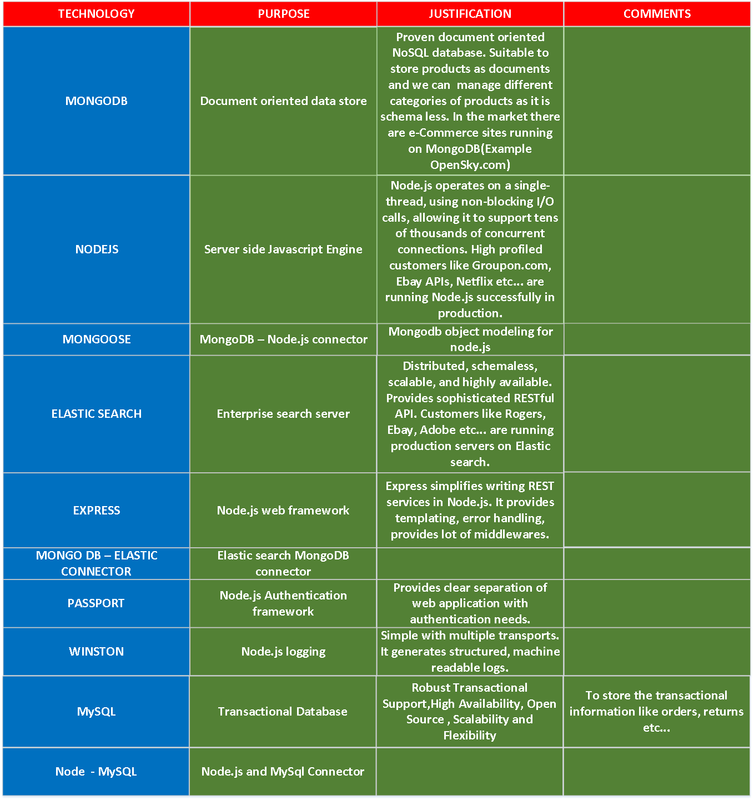 The proposed tech stack is given below. In the next article, we will see the product catalog document design and associations between different catalog entities with MongoDB.